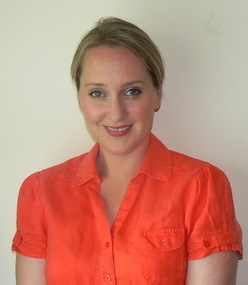 I love your books, Jennifer Joy, and buy them for my Kindle as soon as they are published. Keep writing, JAFF fans are insatiable! Thank you so much, klbo823! Comments like yours keep me going! What a delightful interview, Jennifer. This was my favorite of all your stories. You bless your characters with such “human” qualities and Colonel Fitzwilliam, flaws and all, was a pleasure to read. Please do not enter me in the giveaway as I have all of my daughter’s books on my Kindle and in print (which is as it should be). Hi Jennifer and Rita. I’ve just finished listening to the audio of Darcy’s Ultimatum and want to let you know how much I enjoyed it. Will the other two be coming out as audiobooks as well? It would be lovely to have the complete set! I thought your narrator did a pretty good job, Jennifer. I’m really curious to know what was in that letter. When the book ended and we hadn’t found out, I was talking to my car stereo system (I listen to a LOT of JAFF driving to and from work) and saying “but…but…but what about Anne’s letter?” I was possibly wagging my finger at it as well! Anyway, keep up the good work ladies. Thanks for stopping by Anji! What a wonderful idea The Cousins Series was, don’t you think? I’m sorry to have caused you any suffering, Anji! Bwahaha! The letter is the main plot behind Anne’s story, but its contents are also revealed to Colonel Fitzwilliam, so the books don’t need to be read in order. Thank you for your kind comments! 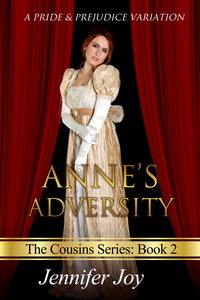 Anne’s Adversity is in the final stages of production on audio, so look for later this month! I recently read Darcy’s Ultimatum and was hooked! I hope I have the chance soon to read you other books. As I have mentioned before in other places, I need to earn more money but work less so I can buy and have time to read all the wonderful JAFF books that keep piling up on my wish and TBR lists. I’m so happy you enjoyed Darcy’s Ultimatum! As my first completed novel, it holds a special place in my heart. Each of your books are a joy to read.your characters are delightful and I’m the proud owner of them all, including books and audio. Thank you so much, Mammy! Joy is a fun name to live up to and an important quality in our family! I would love to win a copy! Love love love the colonel! He was so much fun to write! Best wishes in the drawing! Thank you, Vesper! You keep reading and I’ll keep writing! Great encouragement from your mom, author, and grandmother. Everyone should encourage their children to follow their dreams. These dream then become reality! Never lose hope if it doesn’t work the first time, try again. That was my moto to my children. I have read your novels and they are very well written and entertaining. This is just one more of your books in a string of goodies–that is meant as high praise! Thanks for the pleasure of your delightful, well-written stories. I enjoyed Darcy’s Ultimatum and look forward to reading both Anne’s story and the Colonel’s story. So many books, so little time. 🙂 May I join the “work less, read more” club?… Thanks for continuing to write great stories! I enjoyed the first nook so much, I am looking forward to reading the others., including this one. They are ony TBR list. Thank you so much, Deborah! I’m honored to make such an important list. What a great post, Jennifer and Rita! Loved the interview and loved Darcy’s Ultimatum. Such a great story and so beautifully told! Congrats on releasing the series, Jennifer, and best of luck with more WIPs, we can’t wait for more from you! I’ve listened to the first in the Cousins series. As I have so many books on my TBR and work such long hours audiobooks have become my friends. I hope Anne’s and the Colonel’s stories will be on available in audio format soon. I loved Darcy’s story and want to know what’s in the letter too. Love this interview. Most JAFF tend to write P&P stories because it is very easy to relate to Jane Austen’s most popular novel or it sells well or other reason. So what’s yours? Writing JAFF gives me the opportunity to mix some of my favorite things: Jane Austen’s amazing stories, history, writing, and an amazing community of people with interests similar to my own. I’m the sort of person that HAS to write. So, since it is within my reach to do so, why not spend my time doing the things I love? What a great interview! Also loved the variation, seems really good! I do hope you enjoy it, Ana, and thank you! Great interview! It makes me happy knowing that JAFF authors love writing their wonderful stories as much as I love reading them! They’re a double threat, aren’t they? Fun to read and fun to write! What a great interview! Do you think having your mother as a writer inspired you to become a writer as well? I believe I am much as Col. Fitzwilliam, I am now terribly curious as to what the letter might contain! Thank you in advance for your input and also, thank you for sharing your talents with us through your books! Haha, Sonia! Your comment made me laugh at myself because I have to remind myself to slow down! That’s the wonderful thing about having so many JAFF authors to read from. Each of us has our unique style and strengths. Before each writing session, I jot down notes on what needs to happen in that scene. Then, I ask myself these questions before I allow myself to start writing: Does this move the story forward? Does this reveal new information? Does this scene reveal something new about or deepen my character? What does my main character want more than anything? If my planned scene can’t satisfy at least 2 of these questions, it gets scrapped. If you can manage to include the emotional, internal angst along with forward movement, you’ll have a beautiful, entertaining story! Happy reading and writing to you, Sonia! I love getting to know an author better! Looking forward to reading your series and thank you for the giveaways! Thank you, Dung! Best wishes in the giveaway! Nice interview! I’m very curious for the Colonel! Thank you, Diana! The colonel is an intriguing character, isn’t he? He was a lot of fun to write.